Whether you're looking for an afternoon outing, or something new to do with your family for a night out, Carousel Skate Center in Wichita, Kansas is your destination for wholesome, family fun. Our entertainment facility features a state-of-the-art sound system, eight TVs, redemption and video games, light show, live DJ, skate shop, concession stand, skate rentals, and sales. Not to mention our huge skating floor! 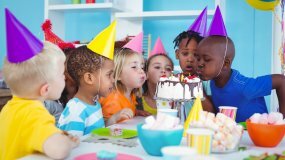 Join us for your family night out, birthday parties, private events, and more. We offer special events for almost every holiday, and when the schools are closed - we're open! Bring the kids over to get them out of the house, off the couch, and into something active. We can't wait to see you here at Carousel Skate Center!